Lavie Tidhar has it that Benjanun Sriduangkaew is amongst "the most exciting new voices in speculative fiction today," and readers? I don't disagree. I've only read a few of her short stories—'Fade to Gold' in End of the Road and 'Silent Bridge, Pale Cascade' in Clarkesworld Magazine—but both have been (excuse the hyperbole here) mindblowing. To wit, I met the news of her new novella—her first, unless I'm very much mistaken—with more than a mite of excitement. 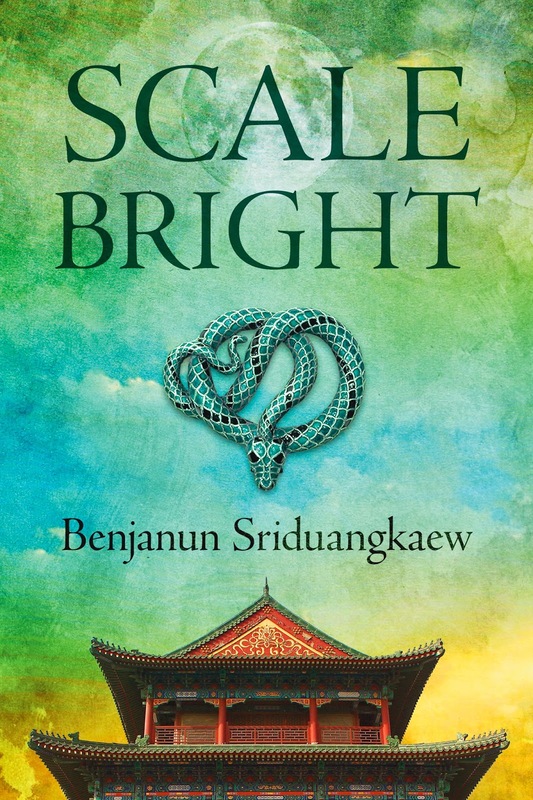 Due out sometime this month from the fine folks at Immersion Press, Scale-Bright is "a contemporary fantasy" narrative blending "Chinese myth, interstitial cities, and the difficulties of being mortal and ordinary when everyone around you has stepped out of legends." I've got a blurb for the book, to boot. Behold! If, like me, you can't contain your anticipation, check out these three free short stories—'Chang'e Dashes from the Moon', 'Woman of the Sun, Woman of the Moon' and 'The Crows Her Dragon's Gate'—all of which "provide further background to the mythological grounding of Scale-Bright." And then get your orders in, alright? Awesome cover art aside, that blurb definitely catches my interest! I'm excited for this too!